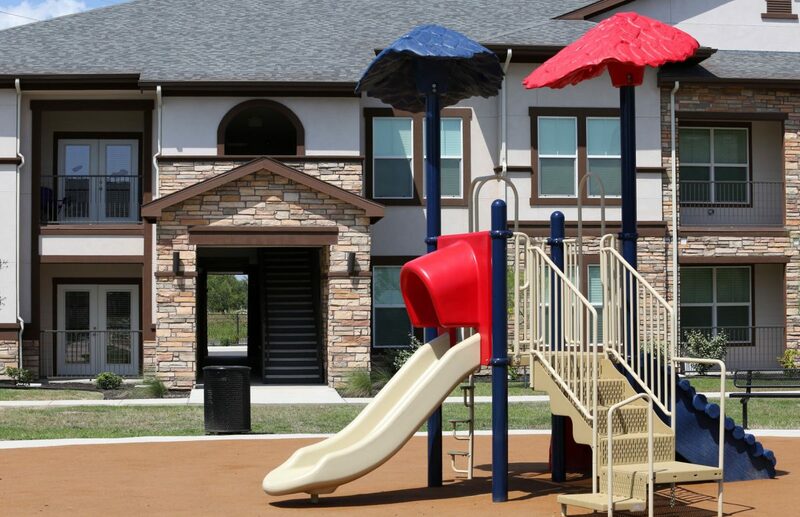 A playground stand near low-cost apartment for rent at The Heights on Wednesday, June 6, 2018, in Edinburg. 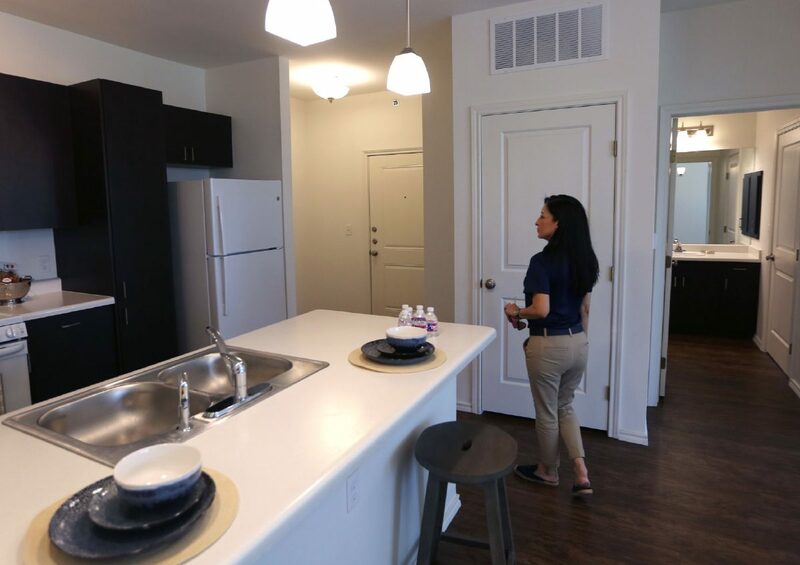 Ana Molina walks through an available apartment for rent at an affordable housing project called The Heights on Wednesday, June 6, 2018, in Edinburg. The 128-unit apartment complex opened to residents earlier this year. 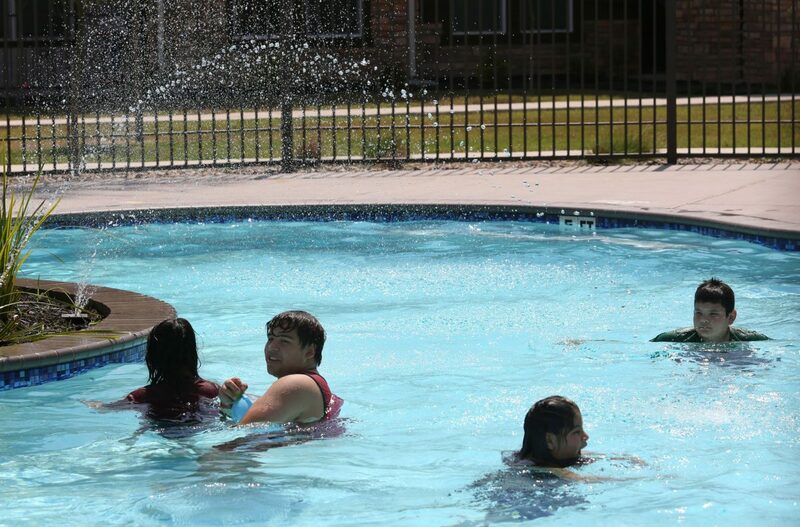 Residents swim in the communal pool at The Heights on Wednesday, June 6, 2018, in Edinburg.